Uber, General Motors' Cruise, Waymo and Zoox have all tested autonomous vehicles in San Francisco—and now the mayor has some questions. FOR MANY CITIES, here’s the toughest pill to swallow: Their mayors don’t actually have control of their streets. This is true of the metro Phoenix area, where Google’s self-driving sister company Waymo is testing cars without drivers inside. And Pittsburgh, where Uber tests. And Miami, where Ford will touch down with self-driving pizza delivery vehicles this month. And Boston, where cars powered by the developer NuTonomy are picking people up near the seaport. And it’s true in San Francisco, where tourists can gawk at cars piloted by Uber, Zoox, General Motors’ Cruise and Waymo on their way to Lombard Street. In the US, self-driving car testing is regulated on the state level. Some of the 50—Florida, Arizona—are happy to let the vehicles go wherever. Others—California—set stricter guidelines, with more stringent reporting rules. But across the country, local politicians hear a refrain familiar to any teenager defending their right to a messy bedroom: It may be your city, but it's in my state—and you'll follow my rules. Such legal subtleties will not stop San Francisco. 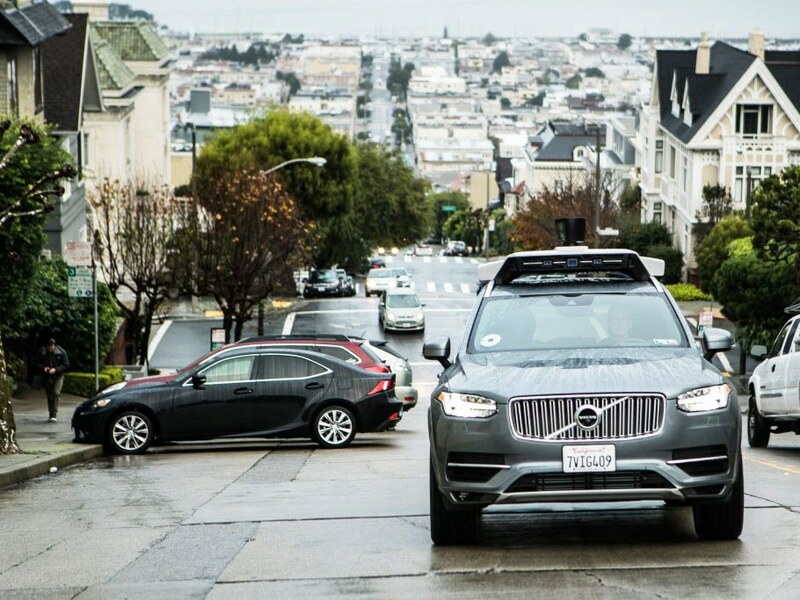 On Wednesday, Mayor Mark Farrell sent a letter to autonomous vehicle developers operating in the city, explaining he wants them to take part in a “safety assessment exercise”. That would involve providing detailed demonstrations to first responders, transit operators, and city officials, so those folks will know what to do if and when something goes wrong. The mayor’s office wants this to come together ASAP, before the month is out. “Local officials are always going to be responsive to the people within their cities. They want to make sure they’re being responsive if community members have concerns,” says Brooks Rainwater, who oversees the National League of Cities' Center for City Solutions. “These things take time, for people to be fully comfortable with rapid leaps in how we get around.” And yes, people have concerns: about safety, jobs, hacking threats. A 2017 Pew Research Center poll shows slightly more Americans are worried than enthusiastic about self-driving car tech. So don't be surprised to see cities use whatever power they have to influence self-driving developers, to ensure public safety—and demonstrate to concerned citizens (ie, voters) that they’re on the case. That's not enough for San Francisco: Farrell also wants hands-on training and opportunities for law enforcement to ask questions about the tech. Some autonomous vehicle manufacturers indicated they’ve held briefings with law enforcement officials in the city. Waymo said it has been working with public safety officials to set up first responder training, as it has in Phoenix. (The San Francisco Police Department did not respond to requests for comment.) But by Thursday evening, no companies had publicly accepted the mayor’s invitation, though a Waymo spokesperson noted the company is in touch with his office and the California DMV. Cruise, Uber, and Zoox declined to comment. “Being intentional now and having conversations about opportunities, but also the challenges from the workforce perspective and how local leaders should be thinking about that, that’s how the conversations need to happen,” says Rainwater. The good news for cities looking to retain control over their streets is that they may have other sorts of leverage. Just as local officials discovered over the course of battles with ride-hail companies like Uber and Lyft, they can use their oversight of for-hire vehicles, infrastructure, even tax mechanisms to extract concessions and guarantees. In Washington, DC, for example, officials are discouraging dangerous ride-hail pickups and drop-offs by replacing some parking with designated pull-over spots. Chicago has instituted a 15-cent fee on each ride-hail ride, with the proceeds going to public transit. Cities may not be able to ban the technology outright, but they can make its deployment easier—or harder. "This is the future and something I fully embrace, but we need to work together," says Farrell. Whether or not the tech titans feel like playing along is the question.